← Honey Almond Cookies – Gluten-Free! I never get tired of new smoothie combinations. And I never get tired of chocolate. Or peanut butter. For those reasons alone, I love this smoothie! The great thing about smoothies is that the measurements do not have to be exact and substitutions can made based on personal preferences. For example, you could replace peanut butter with sunflower seed butter (SunButter.) Have fun with this! Eating whole, healthy foods can be delicious! This smoothie provides protein, calcium, probiotics, potassium, flavonoids, and a refreshing taste! Your kids will love this one, too! 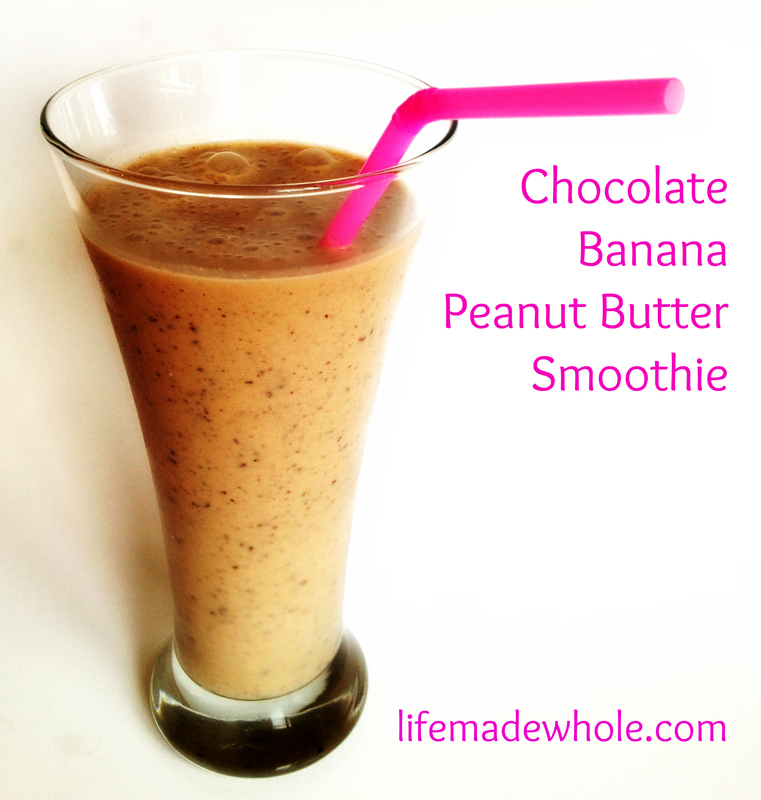 This entry was posted in Food and tagged Banana, chocolate, honey, peanut butter, smoothie. Bookmark the permalink. Just made this for my 2 year old daughter, with Almond milk, and no yogurt (didn’t have any on hand) or chocolate chips- she downed the whole thing within a few minutes. Great feeling to have your kid something they view as a delicious dessert and know that every item in the drink is good for them. Thanks for the recipe! Will be trying it again with yogurt once I go shopping.